Rachel Rattner is beginning her 5th year in the Plant Biology Ph.D program at UC Riverside working under Dr. Mikeal Roose. 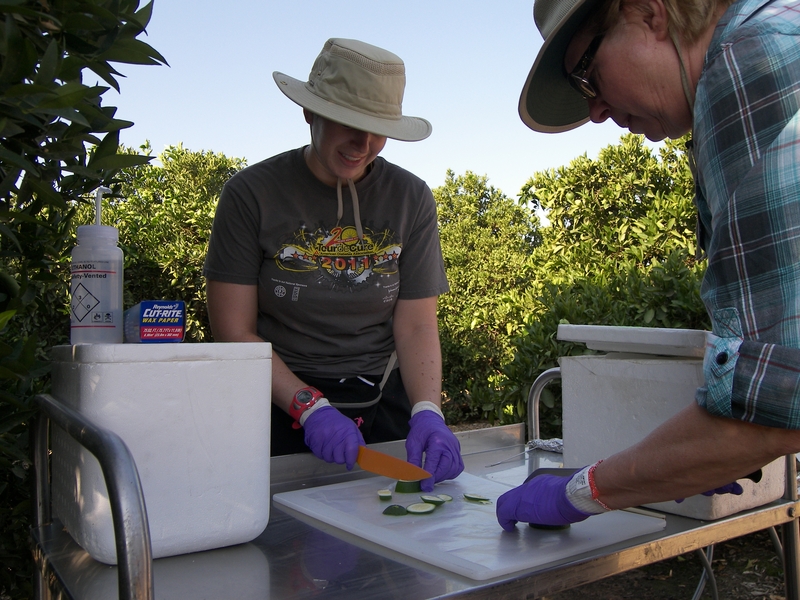 She is working on a research project that investigates the significance of small RNA molecules in grafted citrus and their impact on citrus fruit quality. Small RNAs are molecules that are found in plants naturally and are a rapidly growing area of study in many species. Their role in the regulation of gene expression has been shown to be of importance in many aspects of plant growth and development, as well as being involved in reactions to various environmental stresses. Previous research has suggested that small RNAs may be species-specific and are able to move across the graft union. 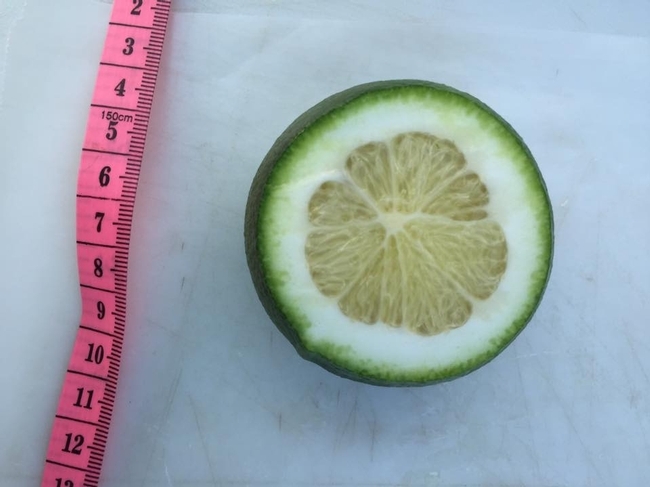 Citrus rootstocks have long been known to influence fruit quality traits. This project utilizes the Lane Late navel rootstock orchard at Lindcove REC planted in 1991 to examine the potential genetic cause of these differences. The trial consists of 230 navel orange scions on 29 different rootstocks. By comparing genetic sequences of small RNAs in the roots and fruit of different trees, Rachel will correlate changes in gene expression with differences in fruit quality traits. These photos depict samples of fruit and roots of the Lane Late navels at Lindcove REC. 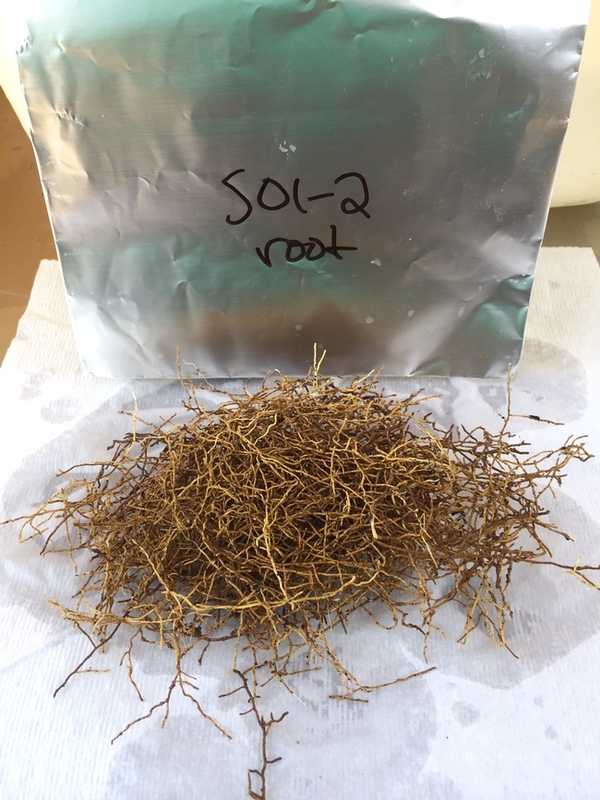 Juice vesicles and young roots are collected throughout the growing season to capture changes in gene expression throughout fruit development. The samples are quickly frozen on dry ice in the field to preserve the integrity and current state of the RNA molecules present at the time of collection. The Lane Late navel block at Lindcove was planted in 1991 and consists of 230 trees on 29 different rootstocks. Rachel Rattner is a PhD student at UC Riverside working with Dr. Mikeal Roose in the Dept. of Botany and Plant Sciences. She is investigating the impact of small RNA molecules on fruit quality. Small RNAs are naturally found in plants, and their role is to regulate the expression of genes during citrus development. Small RNAs are a recent area of study in plants and have been shown to be important in plant development, as well as in vital processes such as nutrient uptake and responses to environmental stresses. There is evidence that some of these molecules may be species-specific and can move from shoots to roots and vice versa. Therefore, small RNAs produced in different varieties of citrus rootstocks may regulate gene expression, and ultimately fruit quality, in the scion. The results from this project will be useful to citrus breeders in the future. Rachel is sampling Lane Late navels at Lindcove REC for her project. In this photo Rachel is being assisted by Claire Federici (Staff Research Associate at UC Riverside) and is slicing immature fruit and separating juice vesicles from the segment walls. These vesicles are quickly frozen on dry ice in the field to preserve the integrity and current state of the RNA molecules present at the time of slicing. Lane Late navels are sliced and quickly frozen on dry ice to preserve small RNA molecules.